HOUSTON (KTRK) -- Authorities have called of their search for at least one suspect who bailed at the end of a car chase near Bush Intercontinental Airport. Around 1:15pm, authorities began chasing a vehicle involved in a fast food restaurant robbery in Houston's south side. The pursuit ended about 30 minutes later, when at least one suspect fled from the car and ran into a wooded area on airport property. Police looked for several hours but ended their search after a few hours. 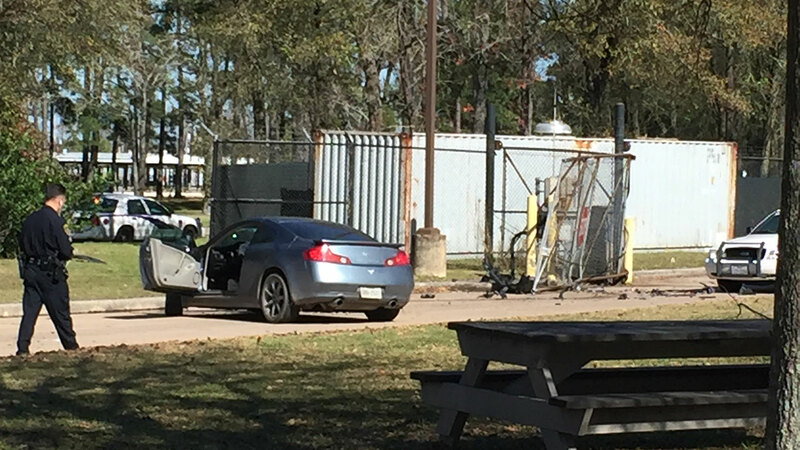 Authorities say the vehicle used in the chase was reported stolen out of Angleton.